SCIP provides prevention, education, and early intervention services. We recognize that a child's behavioral health needs must be addressed at early on-set, rather than waiting until they have progressed to a more critical level and are more difficult to address. The SCIP process applies a multi-layered approach to at-risk behaviors in youth. Following a student's referral to SCIP, the team assesses the need for further action, coordinating an intervention with the student and/or their parent/guardian when necessary. A plan is developed to address the concerns and increase the student's opportunity to succeed in school. This plan may include a referral to an in-school resource or to one of our partnering behavioral health agencies who will provide a screening for the student, at no cost to the family. 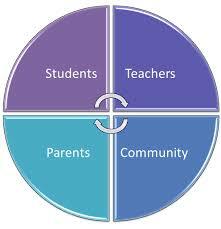 The SCIP Team continues to provide on-going support for the student within the school environment. With parental consent, information from the agency screening can be shared with the SCIP Team, providing them with valuable information that will allow them to better assist the student and put the appropriate support systems in place. SCIP believes that a collaborative working relationship between schools, parents, and the community, sets a strong foundation for helping students reach their full potential.